High Snobiety has been blessed with a exclusive preview of the Crooks & Castles Spring 2009 lookbook. 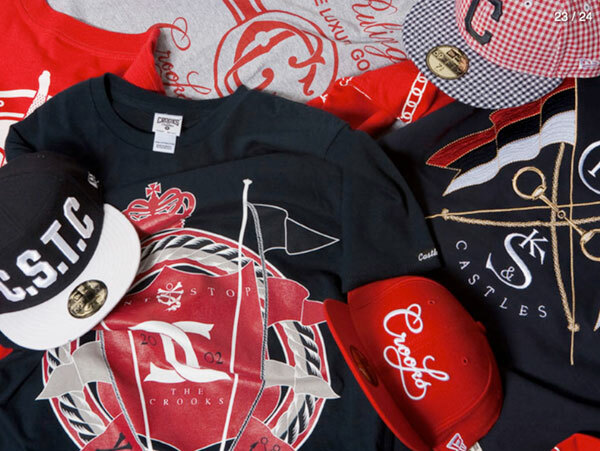 Crooks & Castles made its debut back in 2006 and since the launch it has taken off with many pieces worn among many celebrities and athletes. The brand has evolved its image over the years, which turned out for the better giving Crooks & Castles a unique look over all the other brands out right now. Check out some of the new pieces over at High Snobiety.